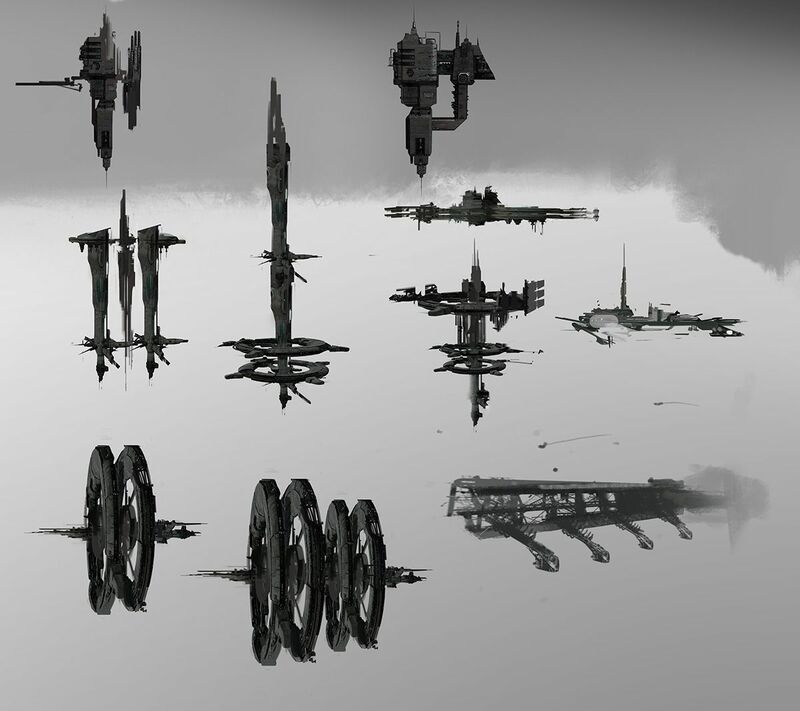 For a long time, players have been asking for changes to structures in EVE: From the way that the various types of structures are built, how they are anchored, and how they are destroyed or captured—CCP has caught a lot of flack over all things structure related. Promises by CCP have been made in the past explaining that changes were coming, and for one reason or another, they’ve never materialised. Players, tired of waiting, became jaded from hearing more broken promises. Sovereignty space became a stale place that rarely saw excitement or any real action, unless it was a large coalition taking more systems or an event like B-R.
At the end of July 2014 CCP Seagull became the Executive Producer of EVE Online, and immediately started interacting with players; more importantly, she was listening. 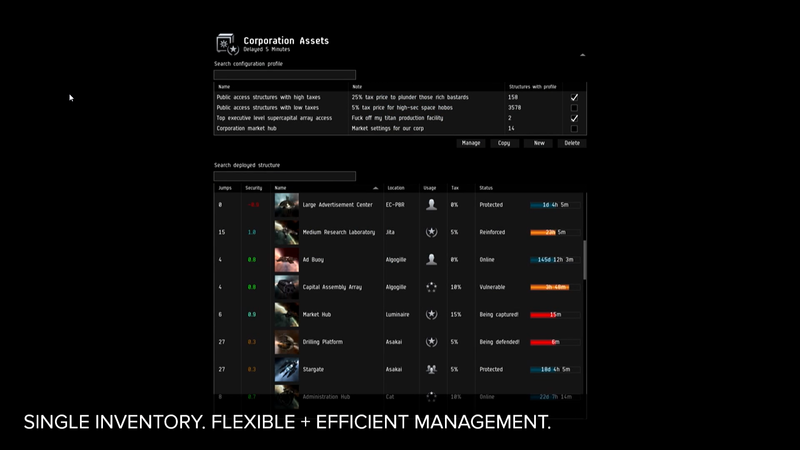 Since then, CCP has started to focus on balancing the game and making it more user-friendly in the background, leaving players more time to actually play the game. 2014 was a year that saw a lot of transformations, from the new six week development cycle to the simplification of manufacturing. One of the most significant shifts in the past year was the massive rebalancing of force projection for capital ships, released in Phoebe. This was the first time in a long while that players in nullsec were really excited about upcoming game development. The next big change is coming, and it’s getting a lot of attention. This time, CCP has done it differently—giving pertinent information and waiting for feedback. The EVE devs have heard over and over that players are tired of spending hours burning down structures instead of being able to fight and actually play the game. With the recent announcement of the entosis link—how sovereignty will be taken and how fights will play a significant role in the taking of space—it really appears that CCP is listening. The types of structures we have and how we manage them is transforming. What do we know so far? That eventually, structures will fall into four size-based categories, ranging from small to extra large. There won’t be structure grinding as we now know it, and even the idea of how structures are anchored and then fitted will change. Good-bye anchorable POS modules, good-bye unintuitive structure management, and good-bye time wasted. At least… I think so. The dev blogs are interesting and the presentation at Fanfest seems to have dangled enough carrots to keep people interested. 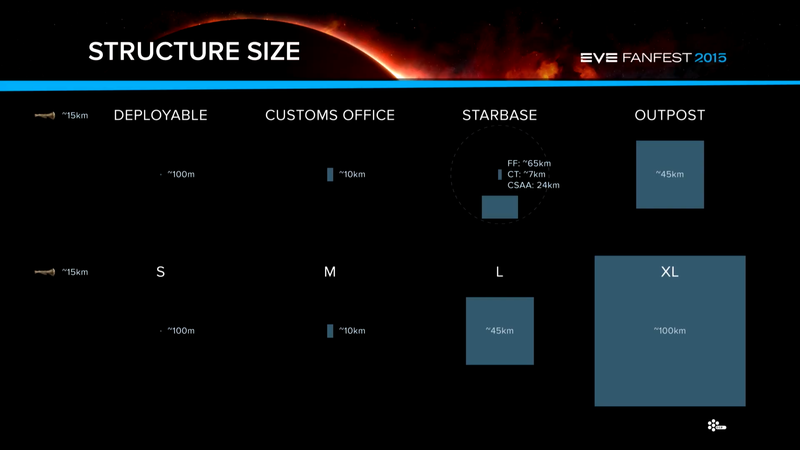 Not only are the EVE forums overflowing with opinions and ideas, but we are seeing blogs, podcasts and more providing enough speculation as to what we might see. This is definitely a smart move for CCP. Presumably, they are listening; but are they listening to everybody, or just the majority of players found in 0.0 space? Out in wormhole space, we live differently, and we might be greatly affected by the upcoming changes. First and foremost, we don’t have stations in wormholes. Thera is the exception, but Thera is really just a glorified nullsec system that only has entrances through wormholes. So how do we live? For those who don’t care nor dare to enter wormholes, we live in Player Owned Structures, or POSs which are required by us to live. Unlike known space, wormholes don’t have markets. We rely on each other and our connections to provide us with access to desired ships, modules and even basic skillbooks. This is important because we don’t always have connections to highsec or lowsec available, which means we have to keep stock of items within our POSs. The idea of having to remove all of our things, un-anchor the old modules and POS and then anchor a new POS and put things back inside is not a pleasant one. In fact, logistically, it’s a nightmare. What if corporations can’t get all of their personnel on and we are left with personal hangar arrays that we can’t un-anchor? Security in wormholes is difficult. Larger wormhole corporations tend to do something called moon-locking. Right now, POSs must be anchored next to a moon. To take advantage of this, some corporations will anchor a POS to every single moon in their system. Doing so prevents would be attackers from anchoring their own POSs in the system, without first attacking one of the already anchored POSs. If they do, the POS generates notifications to the owners, alerting them of the attack. This offers protection in a home system, because corporations who are attempting to evict residents generally want a POS for protection and logistics once they begin a siege. The new system proposes removing the requirement of anchoring a POS next to a moon, effectively removing the ability to lock a system and help protect the residents who have spent so much time and ISK to create a safety net. These changes make me very nervous. In fact, it makes me feel like CCP is going to be making W-space a lot more like nullsec, which is something that we don’t want. The first thing that we need to see are more plans. While I appreciate that we are seeing some of the general information, it’s time to see specifics so that we can begin providing input on those. Keep delayed local. The idea of the observation platform being able to potentially provide non-delayed local in wormholes is terrible, even in a corp’s main system. Not having local keeps things interesting and helps keep wormholes unique. Give us an easy way to transition from the current POS system to the new large structure system. Instead of needing to knock down our POSs, it would be so much easier logistically if there was a way to use the management screen to transition to the new structures. Perhaps a button that transitions to the new type of structure, or something easier than having to completely remove a POS just to put a new structure in its place. Keep the requirement to anchor a large structure at a moon in place, at least in wormholes. Keeping the ability to moon-lock a system, as mentioned before, is a cornerstone of wormhole security. Something that will really make this game better and should come along with the structure changes, is new corp and alliance mechanics. Right now, we lack really effective corp mechanics that allow directors to dole out certain powers and abilities based on their own defined roles. What? There’s No Parking Here? It’s no secret that the area of the game that not only deserves fixing, but needs attention the most, is sov nullsec. CCP has been known to focus on one problem or area of space at times, to the detriment of others. That mindset appears to be changing though, partially because of the massive amount of player feedback when CCP makes changes that are going to hurt the game. It is critically important that CCP ensures that they do listen and use all of their available resources. The CSM is a good starting place to help them when making decisions that impact the entire playerbase. We have been given just enough information to get excited, and nervous at the same time. As we wait for the changes, I hope and pray (to Bob of course!) that the devs listen. I’m prepared to give them the benefit of the doubt and it appears as though players, including the important bittervets of EVE, are as well. Excitement is in the air! Kazon is a wormholer, living in C5 space with Sleeper Social Club. He was formerly an assistant personnel manager for EVE University as well as an education officer in the wormhole campus. When not playing EVE, Kazon is a municipal politician in Canada as well as a pipeline operator.